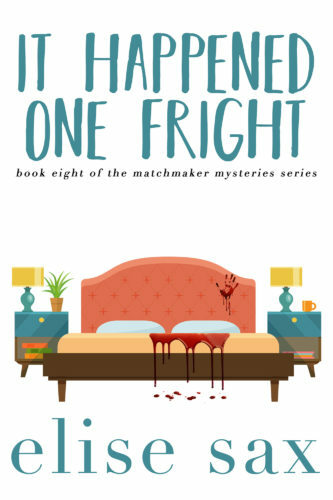 It Happened One Fright is the 8th installment of the hilarious Matchmaker Mysteries Series. Spencer might have marriage on his mind, but Gladie is distracted by her best friend’s troubles and a busy matchmaking month. The father of Bridget’s baby is threatening to take custody away from her, and when he winds up murdered, Bridget becomes the top suspect. Now, Gladie must juggle her own love life, her matchmaking, and proving that Bridget is innocent, not to mention dealing with the town’s attempt to break the world record for the largest Easter egg hunt. But poking around is dangerous, and Gladie could be next on the killer’s hit list. It Happened One Fright is proof that sometimes love comes with a few dead ends.